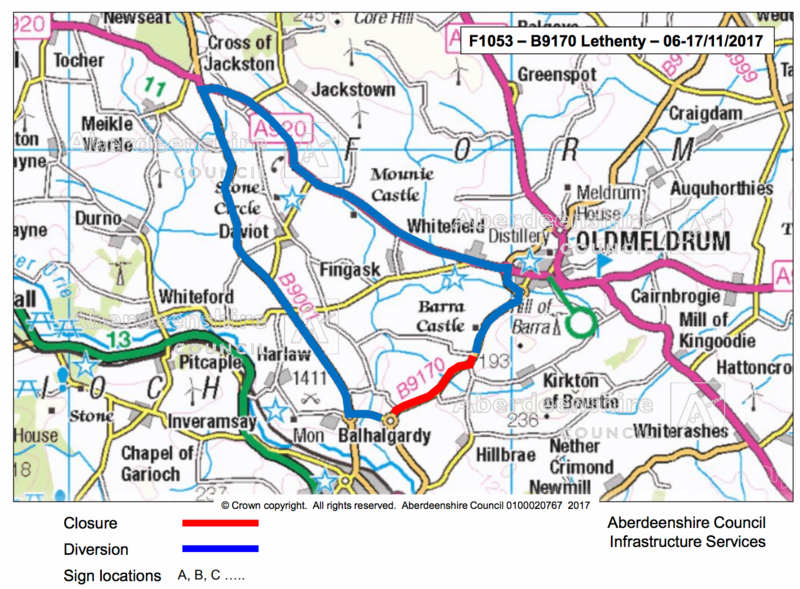 The B9170 Oldmeldrum road will be closed for two weeks from Monday 6 November. The diversion route will be signposted and is via the B9001 and A920. Access to properties will be maintained although there may be a delay while the road is cleared.